Nettalk is one of the leading free VoIP provider. The company offers free Duo-to-Duo calls with its USB/ATA adapters, smartphone apps, unlimited text plan and porting or transferring your number. netTALK was founded in 2008 by Anastasios “Takis” Kyriakides with the idea of leveraging the ongoing technology revolution to give consumers freedom of choice and to liberate them from outdated, expensive, legacy systems. netTALK provides continuous innovation and easy-to-use products at an affordable price, with superior customer service. Mr. Kyriakides and Team netTALK are first implementing this dynamic vision in the everyday realm of telephone calls. netTALK’s revolutionary flagship product, the netTALK DUO, enables anyone to Fire Your Phone Company® and never pay a monthly phone bill again. 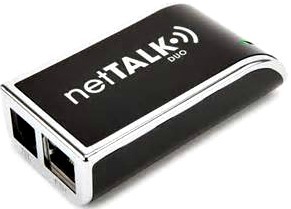 The netTALK DUO has been crowned an “Editor’s Choice” by PCMag.com and Laptop Magazine, and has received rave reviews in the major media, including the New York Times, GigaOM, PCWorld and elsewhere. 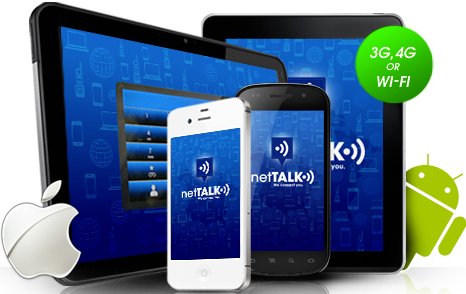 Available at many major retailers and e-tailers, and a long-time bestseller on Walmart.com, the netTALK DUO and the netTALK smartphone app are freeing consumers and small business owners from monthly phone bills and cellular talk minutes, alike. What are your thoughts about NetTalk? Let us know in the comments section!